A hat-trick from Adam Rooney saw Whites well beaten by top-of-table Salford at Crabble on Saturday. 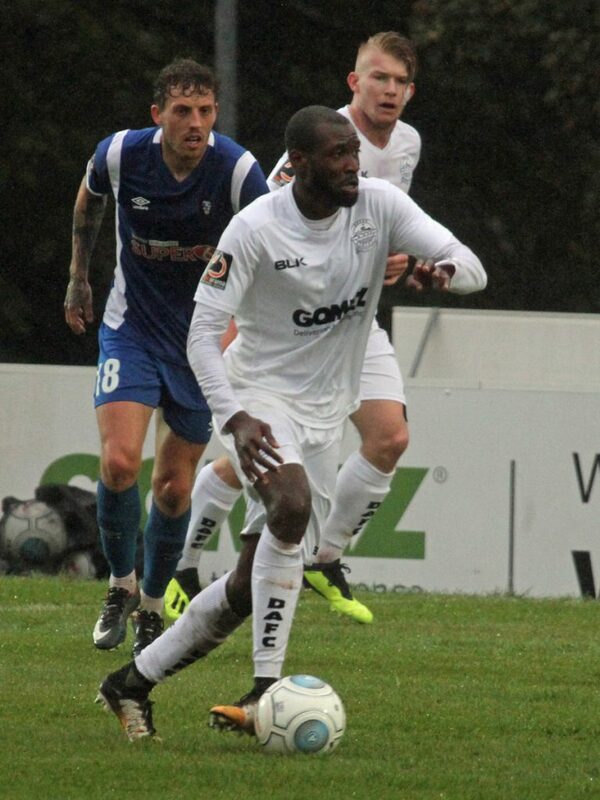 Two quick-fire strikes in the first half, followed by a tap-in to cancel out Bedsente Gomis strike for Whites just after the break saw the forward move clear at the top of the National League goalscoring charts. And an error from home keeper Mitch Walker saw Carl Piergianni head in a corner to complete the scoring as Athletic’s first game since the dismissal of Chris Kinnear as manager ended in defeat. Earlier, Mitch Brundle was first to try his luck, forcing visiting keeper Chris Neal into a low save with a 20-yard strike. And George Smith drove inches wide from a similar distance as Whites started the game brightly. At the other end, Rory Gaffney escaped down the left, but the angle was too tight for the striker to find the target. And Tom Walker crashed Rooney’s pass wise after the forward’s initial shot was bravely blocked by Ejiro Okosieme. But the league leaders were ahead on 17 minutes thanks to dangerman Rooney. 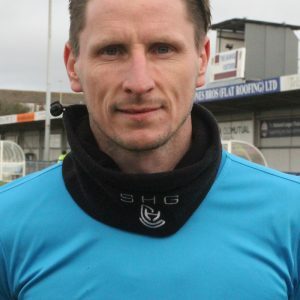 The striker prodded the ball into the bottom corner following good work from Danny Lloyd-McGoldrick, with the winger beating Bradley Barry for pace and passing inside for the forward to bag his tenth goal of the season. And Rooney’s eleventh arrived two minutes later. The attacked beat his marker the far post to head Danny Whitehead’s cross past a statuesque Mitch Walker in the Dover goal. Okosieme nearly halved the arrears, heading Brundle’s corner into the side netting. Walker then denied Gaffney with his cheste after the striker cut inside and fired on target. But Dover were back in the game six minutes after the restart thanks to Gomis. Sub Loui Fazakerley crossed for the Frenchman to slide home his first goal for the club. But Salford’s two-goal cushion was restored just five minutes later as Rooney netted his first National League treble. A combination or Okisieme and Walker cleared Scott Wiseman’s low volley as far as Carl Piergianni, who’s low shot was steered into the net from just yards out by the poacher. And the Lancashire side added a fourth on 65 minutes. Defender Piergianni headed Lloyd-McGoldrick’s corner goalwards, but a misjudgement from Walker allowed the ball to bounce over the line. Mark Shelton almost made it five goals for City, but he poked Wiseman’s cross narrowly wide. Earlier, caretaker manager Jake Leberl made four changes to the side that started against Barrow last week. 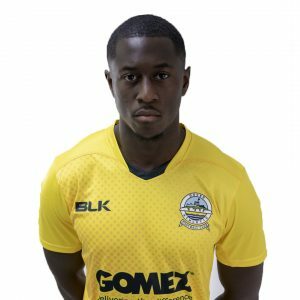 Jack Connors, Nortei Nortey, Kadell Daniel, Bradley Barry all started in place of Josh Passley, Moussa Diarra, Tim Schmoll and Inih Effiong. Whites next league match is away to Harrogate Town on Saturday 13th October. Kick off 3pm.